Reaching your nutrition and diet goals doesn't only require you to know how many calories to consume, you also need to know how many of which kind of calories to consume. Kinesiologist Brad Borland offers a simple formula for calculating your body's needs. Everyone has their own specific goals when it comes to fitness/muscle-building whether it’s losing fat, gaining muscle or just maintaining for performance or anything in between. Need a simple way to calculate your needs? It’s no secret that diet plays a huge role in which direction you head and how successful you become. As one of the most talked-about and debated subjects, diet (or more simply, your eating plan) can be an incredibly confusing topic to research regarding the countless resources, outlets and (let’s not leave out) opinions of so many “experts” out there on the interwebs! Disclaimer: I will most likely get some “interesting” comments and emails about this post. It seems so many out there have strong, passionate opinions about diet. This is a combination of research that I have done AND what has worked for not only me but many of those I have worked with over the years. I am a huge fan of keeping things simple for several reasons. Keeping it simple and easily understandable is essential for real-world people who don’t have time to keep a detailed eye on eating specific foods at specific times on specific days for specific periods of time. Building muscle, losing fat or anything in between isn’t rocket science. Yes, there is a lot of research out there but applying simple principles for real-world results can sometimes turn science on its head. New research even trumps old research many times often validating what was thought of from experiments in the gym to begin with. Over thinking things especially when it comes to training and diet can stress out even the most dedicated trainer. Keeping it simple is a way to let whatever program you are on to work (or not) so you can gradually see what direction you are headed then make adjustments if needed. So, enough jibber jabber and let’s get to some simple diet math. The numbers and formulas (don’t worry, they are easy) are only to get you started on the right path. Adjustments for macro nutrients can be made once you start as everyone has different metabolisms, lifestyles, schedules, etc. Protein intake will stay consistent according to your bodyweight. Take in one gram per pound of desired bodyweight per day. Desired meaning if you weigh 200 lbs and want to be 180, your intake will be 180 grams per day. Conversely if you are 180 and want to weigh 200, it will be 200. Healthy fats will also stay consistent at .5 grams per pound of desired bodyweight. So for our example above a 180 lb individual that wants to be 200 will take in 100 grams of (healthy) fat per day. Here is where we will make some adjustments. Again, these are not hard and fast numbers. Adjustments can and most likely will be made down the road. For fat loss: 1 gram of carbohydrate per pound of desired bodyweight. For maintenance: 2 grams of carbohydrate per pound of desired bodyweight. For muscle gain: 3 grams of carbohydrate per pound of desired bodyweight. These calories can be split into 3, 4 or 5 meals per day. 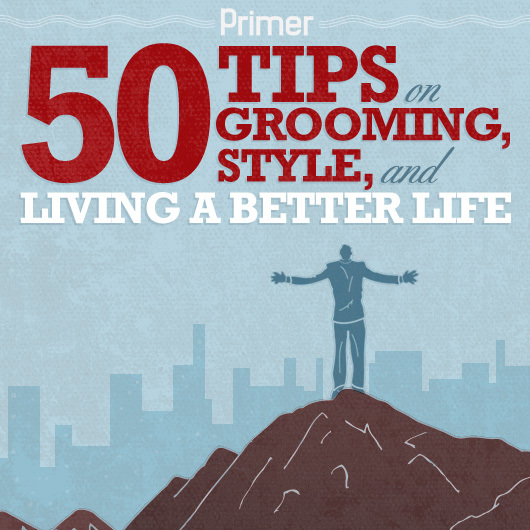 Don’t make things overcomplicated – keep it simple. Stay on track with the plan for 4-6 weeks and see where your physique is heading. Make adjustments after you have assessed things. Make sure the carb sources are complex in nature such as rice, potatoes, oats and plenty of vegetables and a few fruits. A 200 pound individual wants to be 180 pounds. Note: Be sure to weigh yourself every few weeks to make adjustments to these numbers. One week you may be 200 and in a few weeks you may be 195 so the numbers will change regarding proteins, fats and carbs. Also, make sure you are following a sound training plan. I think this is a really easy way to look at breaking down macros. Its simple and it works thanks! Hey Brad, I heard that you can look at macro goals in weekly terms, is that true? Like if I go over on my carbs and under on protein monday I just make up for it on tuesday or whenever as long as I hit my goals at the end of the week? Probably the simplest and the best way to look at weight loss. In my own opinion, the more complicated and severe the diet, the less you will keep. I’ve lost roughly 40 pounds in 3 months simply by not dieting, but making better life choices and ultimately being happy with the choices. Going to use this equation, thanks so much! I am 165lb and I want to be 180. If I ate 540g of carbs a day I’d be fat as hell in no time buddy. So you’re saying I need to eat more carbs ? Let the stuffing begins. Does this same formula apply to women? Yes, if you are 200 and your goal is 180 then, go with 180. I am so excited to have discovered your article. Although, I am confused about why I would re do my numbers every few weeks of loosing weight. The starting weight didn’t have any impact on the numbers… The desired weight did.. ? Is it because the desired weight may change? For example, I am 192 and desire a 145..
or maybe first 180. then 160. then 145? I’m confused by this too. Why would it change? You can either start at your current weight and then adjust as you lose or you can start at your desired weight. Sorry for the confusion. Hi Brad – what about incorporating workouts? If my caloric goal is 1750 and I burn 500 a day, do I have to make up the 500 in food to get to 1750? No, start at 1750 and see how that works for you for about 4 weeks. You can adjust up or down slightly after you get some feedback. My question is…I want to loose body fat AND gain muscle mass, so which comes first? Do I eat 1gram of carb per lb of desired body weight or 3g of carb? I am also weight training. Do you have any suggestions for high card sources? I’m currently doing intermitent fasting and want to try your marcos formula but, I think 220 grams of healthy carbs is hard to do in 1 to 2 meals. If your macros are setup based on your desired weight then why do you have to recalculate them as you lose weight? Sorry , you already answered it! thanks for the article. Calculating calories is a good idea but don’t forget also about best weight loss products for women. My husband weighs just at 450. Needs to lose down to at least 250. By your numbers he must consume 3,125 calories per day as apportioned into protein, fat and carbs. Is this correct or does this need tweaked for him? He eats much fewer calories now. Calories. Does there need to be a calorie deficit from the number we calculated with our macros when your goal is fat loss? These are excellent and very interesting. Simple tips but I know it will work. Thanks. This is an interesting article to read. Calculating calories, carbs, fats you lose everyday s not a bad idea at all. So what about the workout – activity – this is great for calculating your macros – but I want to lost weight and eating 1750 calories per day will make me gain when I want to lose the weight. I am new to “macros” and still learning. – appreciate your help! Why would numbers change if desired weight remains the same? I’ve never been able to achieve fat loss and muscle gains simultaneously, so I typically stick with alternating cutting/bulking routines. However, I always struggle with cutting after a bulking routine – I get tired, and start to lose muscle mass before I can shed the fat. The key, I believe, is having a protein shake which consequently will also offer a fair amount of carbohydrates (particularly if you throw in a half a banana), either before or after a workout. Before (roughly 20-30 minutes) and you’ll have the glucose from it to use/burn when working out. It keeps you from “hitting the wall” (what happens without the moderate carbohydrate boost and vigorous activity; if primarily sticking to a high protein, moderate fat, and low-carb macro). However, some don’t tolerate a shake before a workout (endorphin induced nausea). As for losing the muscle during cutting, its an indication you’re not getting enough protein to maintain your gains… reduce carbohydrates and/or fats and bump your protein up a bit and see how you do then. I already consume 1.5 g protein per pound body weight – protein isn’t the issue; if anything, excessively low fat consumption is the culprit. Personally, I have found it just isn’t worth trying to achieve muscle gains and fat loss simultaneously – the progress is simply too slow and too sensitive. THANKS A LOT!, I had been doing it all wrong!!! something as simple as DESIRED vs ACTUAL weight in these calculation makes a lot of difference. For some people is obvious but for me that im starting and I had never done a change of life style like this before WAS GREAT! thanks for putting it in such a neat way! LOVE IT! and I had checked a lot of articles so far … I will follow your method from now onwards :). 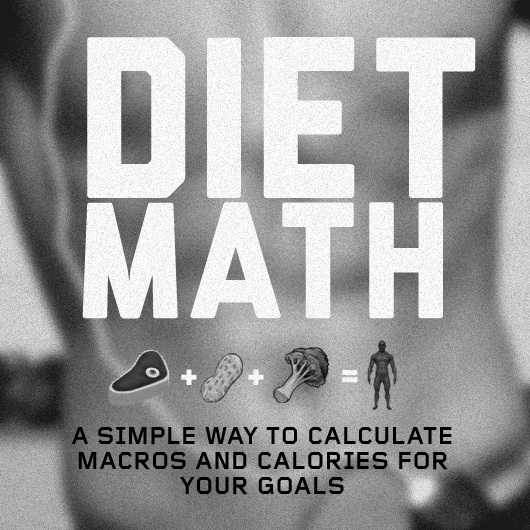 It will really help out for macros calculation easy.